Spotted! M5 in Petone. Special edition with the twin exhaust only?! 152,053 kms. Quite a bit of love spent on Jane over the last couple weeks: Vanos seals refreshed Auto transmission serviced Rocker cover gasket replaced Sump gasket replaced Heater hose replaced Oil change I had these jobs done by Jon at Auto 38 two weeks ago. I've done 2,000kms since then, meaning I've had some time to get a feel for the results, and I'm really pleased. When people say that refreshing the vanos seals makes for a great improvement in their cars, they aren't lying! I drove from Wellington to Whanganui (200kms) after the seals were done which bedded them in nicely. The biggest takeaway is how much perkier the car feels; it's far more lively and torquey in the lower rev-range. Whereas before she would have chopped down from 5th into 4th when accelerating from 70km/h up to 100km/h, she now just pulls in 5th. And with only 150kms on the clock when this was done, I'm sure my vanos seals were in far better shape than others'. Highly recommended upgrade for anyone with these cars! Also running smoother and is slightly smoother on cold start, although not completely as smooth as I'd like it. But a great result nonetheless. Transmission service also returned great results. As soon as I took off from Auto 38 I noticed a change. Firstly, the shifts are far smoother (and they weren't rough to begin with!). And additionally, the up-shifts seem to come sooner, which could be the reason I've seen my petrol consumption drop from 10L/100km to 9.7L/100km! Sump gasket had a minor leak, so the gasket was replaced. Also got the rocker cover gasket done as one of those '"while you're in there" jobs - no record of it being done in the service history. Jon noticed the heater hose was getting quite soft, so replaced that to avoid any side-of-the-road-E39-coolant-system-failure moments! Hard to believe I'd already done 8,000kms since the last oil change in late November, but it was time for one of those as well! Overall, got a few of those checklist jobs done and the car has never run better. I chased an E60 M5, E92 M3 and E39 M5 over the Paraparas last weekend, and Jane held her own (although struggled a bit on the straights!). Love driving this car, and looking forward to putting many more miles on the clock Next on the to-do list: Replace folding radio wood trim with an uncracked piece (have the piece, just struggling to find the time to get the swap done), New rubber (I hear a set of Michelin PS4's calling Jane's name), Potentially a bit of suspension work. Undecided on how much I want to spend on suspension at the moment, when it's far from being buggered. Have a clunk that appears occasionally when coming to a halt. Might look into that soon. Thanks for this, a really cool story! 149,400 kms. After hearing the horror story of another member's E39 overheating, I couldn't drive Jane without staring at the coolant temp gauge. After realising that I would get the same utility from staring at my left thumb, I decided it was best to do something about the ridiculously buffered temp gauge that comes in these cars. With the advice of @Allanw, I bought a cheap OBD2 scanning tool, and set about adjusting the temp gauge ranges. This was actually a lot harder than I anticipated. It took me about an hour to get all of the software downloaded onto my laptop (user error), and a lot of the forums that have discussed re-coding these gauges were written from an E46 perspective. In my naivety, I assumed that since my E39 shares the same M54 as the E46, the process would be identical. It turns out that the coding side of things is completely different. This took another long while of internet trawling before I was finally able to get it done. As a result, instead of my temp gauge telling me I'm at 'normal operating temperature' from about 75C to 115C, it is now reduced to roughly 85C to 95C. One of the best mods I've done for my mental stability (and for the engine's sake of course), and highly recommend it for anyone with this era of BMW (E38, E39, E46 etc.). If anyone wants any help with this I am more than happy to help. Increased accuracy of our temp gauges is objectively a good thing; it gives the driver more notice when their car may be overheating or running too cold, AND hopefully prevents people booting their cars before they're actually at 'normal operating temperature'. More accuracy = greater chance of survival of these engines/cars and I am all for that! I also checked for error messages, and was pleasantly surprised by the lack of any current fault codes! She treats me well, this old girl does. Hey guys, When I was back in high school (only a couple years ago) all my friends had the most mundane cars: old and tired Honda Civics, Suzuki Swifts, Nissan Marchs and the like, and nine times out of ten auto. 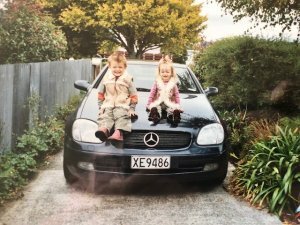 Now that my sister has her licence and is approaching the need for her first car, I thought this would be an interesting discussion to be had. 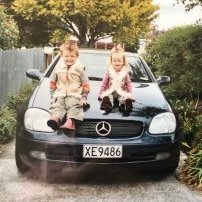 She's not a massive petrolhead, but my love for cars has rubbed off onto her to the extent that she cares somewhat about what she drives. But I don't want to make this thread about her, so what are your best cars that are: Under $5k Fun-ish Manual Relatively reliable and cheap to run At least marginally more exciting than a March Not limited to Bimmers/Euro cars What cool cars have you guys owned, wanted to own or plan on owning? Looking to recalibrate the temp gauge in my M54 so that it is actually of some use; does anyone around Wellington have the software to do this? I think you need PA Soft 1.4 but I could be wrong. Thanks! @NZ BMW Do it, you won’t regret it. Nice! Did the ARB bushes fix your clunk? 146,800 kms A couple weeks ago on my drive home from work I hit 10,000 kms in Jane, and what an enjoyable 10,000 kms they’ve been. Last night I was driving home from work at 3.30am. In my daily commute, I blasted down the motorway from Petone into Wellington city; climbed up the twisty hill to Kelburn, ‘She Talks to Angels’ playing in the background, air con keeping me cool on this hot Wellington night; got to the turn off to my flat, decided screw it and just kept driving. Ended up at Makara Beach at about 4am. Just my car and me. Literally no where else I would have rather been. My first 10,000 kms, in review. They’re quite cool! When I was on the hunt for my current Bimmer I kept my eyes and ears open on the Clio market. Tell me more about your one @OP6, pictures?